good breakfast, nice room, supportive staff. 26-Mar-2019 Verified Review, stayed from Sat Mar 23 to Sun Mar 24 2019 at a $121.50 average nightly rate. The Residence Inn Baltimore Downtown/Inner Harbor is your home away from home. Our apartment style accomodations & prime location will give you every reason to spend more time in Baltimore. 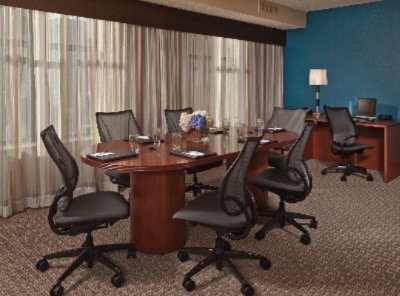 The Residence Inn is an upscale, all-suite hotel in downtown Baltimore perfect for your stays of a day, a week or more. You'll enjoy all the comforts of home while being in the middle of what makes Charm City earn its name. The shops and restaurants of the famed Inner Harbor are just steps away. Walk a bit further to the home of the Orioles Baseball team at Camden Yards or the Ravens Football Stadium for a fun filled day of sports. Travel a few blocks away for visits to Johns Hopkins or University of MD Medical Center. When you're not busy exploring the area, our versatile suites will have everything you need to work and live comfortably, including free high-speed Internet access and a kitchen equipped with all of the necessities to prepare a home cooked meal. Count on our warm and attentive staff, available 24/7, to make you feel right at home. Don't forget to visit our restaurant, 17 Light Restaurant & Lounge open for lunch, dinner and room service Monday - Saturday. Hotel Features – Located in the popular Inner Harbor area of Baltimore, Maryland, the Residence Inn by Marriott Baltimore Inner Harbor is a convenient choice for guests interested in exploring this great city. It is close to public transit, including the Metro. This property is smoke-free, and offers valet parking and a parking garage. 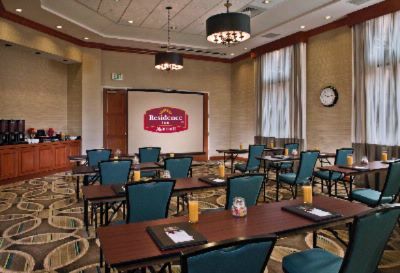 There are two meeting rooms at this property, and space is available for up to 80 guests. Guest Rooms – The Residence Inn by Marriott Baltimore Inner Harbor is an all-suite, extended-stay hotel. Studio, one- and two-bedroom layouts are available, depending on the needs of each guest. Studio King rooms have 430 square feet of space, with air conditioning, and living and dining areas. Each of the suites comes complete with kitchen amenities such as microwaves, refrigerators, and coffeemakers. Every room at this location offers high-speed Internet access, alarm clocks, and telephones with voicemail. Certain suites at this hotel offer pull-out couches, separate living rooms, and dining areas. Work desks can be found in each suite, ensuring guests with business to conduct can have a convenient, designated area. Dining – Visit the on-site 17 Light Restaurant and Lounge for traditional American cuisine with a Baltimore twist. Try their famous crab cakes, or enjoy a cold drink during happy hour. The 17 Light Restaurant is only open for lunch and dinner services. Room service is available around-the-clock. 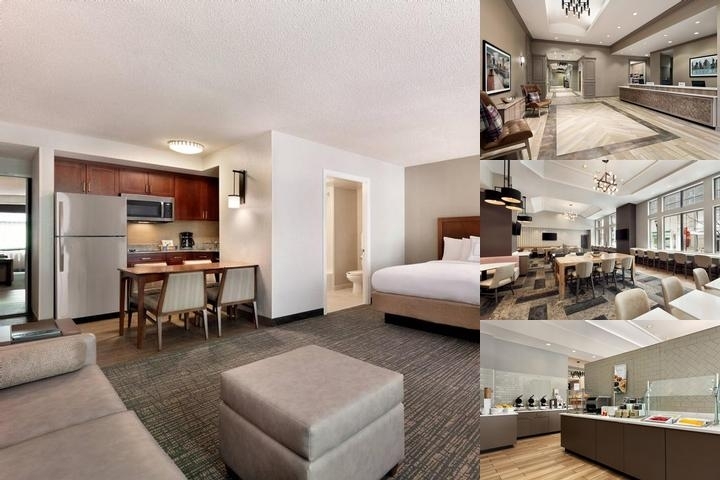 Location – Just one block from a Metro rapid transit station, the Residence Inn by Marriott Baltimore Inner Harbor offers guests the chance to conveniently travel just about anywhere in the city. The Inner Harbor isn’t far, and other popular nearby attractions include the National Aquarium, and B&O Railroad Museum. Expert Tip – Grocery shopping service is available at this hotel for guests who prefer to use the in-suite kitchens to prepare their own food. BWI Airport, 7 miles away. 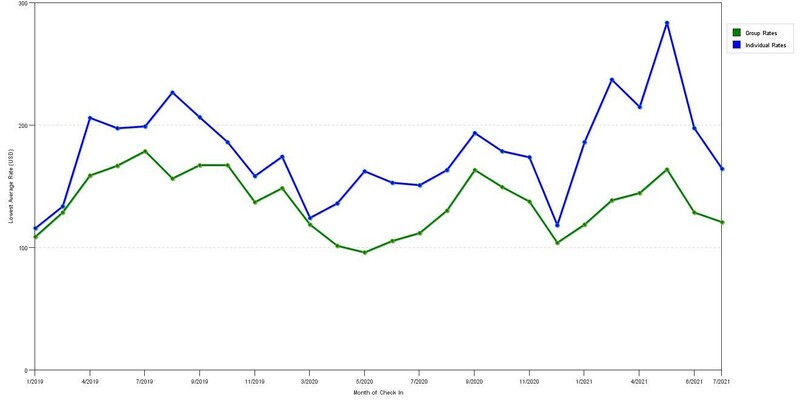 The graph above is averages of room rates for both our group rates and the lowest online individual rates our rate checker could find at the time the group offer was placed. The best group rate shown is 32.5% in January 2019 and the highest average individual rate is $226 in the month of August 2019. This chart will show past seasonality and also project future months. If you are flexible with dates, you may want to consider staying at Residence Inn Baltimore Downtown / Inner Harbor in a month when rates are lower. 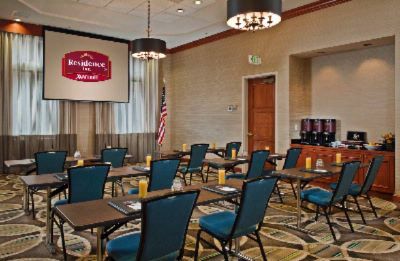 Below are the meeting, banquet, conference and event spaces at Residence Inn Baltimore Downtown / Inner Harbor. Feel free to use the Residence Inn Baltimore Downtown / Inner Harbor meeting space capacities chart below to help in your event planning. Hotel Planner specializes in Baltimore event planning for sleeping rooms and meeting space for corporate events, weddings, parties, conventions, negotiated rates and trade shows. 23 x 32 x 12 Ft.
Meeting room rental can be negotiated based on a food and beverage minimum. This room can be shared with Chesapeake I with the pillar in between, maximizing capacity. 25 x 32 x 12 Ft.
Hospitality Suite includes a separate bedroom with one king sized bed. 30 x 15 x 8 Ft.
48 x 32 x 12 Ft.